Kazak, M.; Priede, M.; Shubin, K.; Bartrum, H. E.; Poisson, J.-F.; Suna, E. Org. Lett. 2017, 19, 5356–5359. 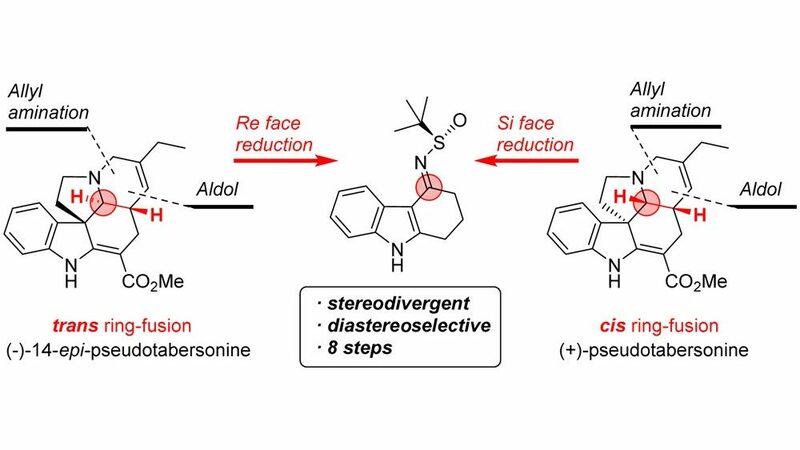 An eight-step stereodivergent synthesis of enantiomerically pure (−)-14-epi-pseudotabersonine and (+)-pseudotabersonine has been developed from a common N–tert-butanesulfinyl ketimine key intermediate.